Does a card care how it gets exiled? Pongify same card, different name. Beast Within Pongify for any permanent. Reality Shift my personal favorite, exiling is king. Curse of the Swine High mana cost, but you clean the board like a boss. Titan's Presence Just perfect for this deck. Scour from Existence Expensive but it gets any job done. Helvault Also expensive but reusable. Brittle Effigy Just another option. 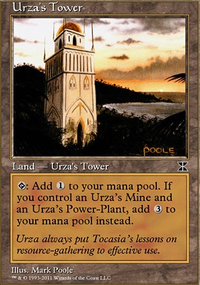 Amulet of Unmaking It's actually a pretty bad card, but its charm is second to none, that matters. Ovinize I count polymorphing spells definitely as removals, but the problem is you will need some help to kill them. 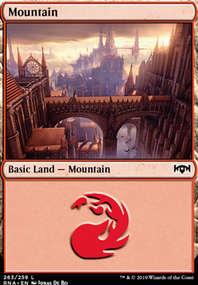 They work best on decks with smaller creatures that let the opponent think they can attack or block safely. Snakeform Personal favorite, the card it gives back is a big deal. Song of the Dryads Great to trap Commanders with no access to enchant removal. Imprisoned in the Moon Blue version of the previous one, almost as good. Hour of Need Not designed to be a removal, most of the time it will be a bad card, but sometimes creatures are so badass that giving them a Sphynx instead is a good deal. There are also a ton of "gain control" spells that I'm not going to list down today, they are also removal. I'd cut Not of This World definitely your worst counterspell, meant for other colours, not blue or green. 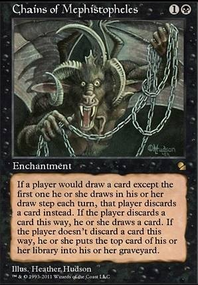 The counters of creature spells have the perk of working on really dangerous creatures that are unkillable in the battlefield or have a problematic "enters the battlefield" abilities, but IMO are worse than removal because they offer only one opportunity to get rid of the creature. You can hold to your removal spells and wait until the creature is attacking you, with a bit of luck it will attack other players (you have huge eldrazis anyway) and maybe they spend their own removal on it. So I'd cut Essence Scatter and Deny Existence. Serendib Sorcerer a polymorph (not the best kind of removal for this deck) on the battlefield that has summoning sickness and toughness 1 and will be killed with any pinger and will die as collateral damage of any earthquake-like card. Blighted Agent you only have two cards to buff it up and no prolipherate and Blightsteel Colossus don't really need his help. It will take him forever to kill a player on his own. Also infect creatures are frown uppon, but that doesn't matter to the guy running Winter Orb. 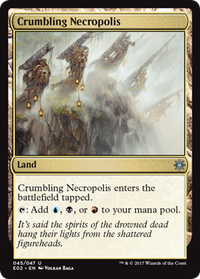 Bow of Nylea Deathtouch from the bow in your deck is good with Blightsteel Colossus and Soul of New Phyrexia for their trample and with Breaker of Armies to kill everything. The +1/+1 counters are only OK on the Blight Agent. The damage to flyers will be most of the time useless. The graveard hate is nice but inefficient. I'd say this card in your deck is underperforming. Izu_Korasu Thanks for the upvote and suggestions! 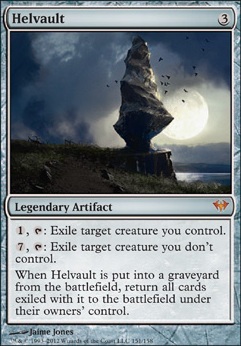 the reason I don't play those cards is that the purpose of Helvault in this deck is to turn Jokulhaups into a one-sided boardwipe, not to reuse ETB effects, which is what those would be doing. and for the next legend ...Gleemax ... er wait why did i say that?? This looks like a very solid list! Carpet of Flowers could be good for getting Sissay out early and scales well as the game goes on, and in competitive pods it's unlikely that nobody is playing blue. Autumn's Veil seems like another option if you want more ways to fight against counterspells. The two cards I don't understand why you are running are Helvault and Oath of Nissa, but perhaps I am missing something. I just want to say the nahiri part is a bit misleading in terms of the grudge's origin. nahiri was one of the three planeswalkers who lead the eldrazi to zendikar, and she hates sorin because he refused to come to her aid the first time they broke free, and imprisoned her for a thousand years in the Helvault. Also Nixilis didn't technically conquer his home plane his army was actually defeated and in a bid of desperation he summoned a bunch of demons who killed every other living thing. Other then those nitpicks though I like your list. I see, so my creatures could still be affected by an opponent's Riftsweeper too, even if it's under my Helvault.